Internationally bestselling author Judy Hall presents a comprehensive guide to more than 400 powerful healing crystals, plus information about 150 newly discovered stones in this new edition of The Encyclopedia of Crystals. Beautifully illustrated and effortless to navigate, The Encyclopedia of Crystals, 2nd Edition is organized by crystal color for easy reference, relates the colors of the crystals to the chakras, and lets you know how to cleanse and activate them. This book is also full of helpful authoritative advice on healing with crystals. 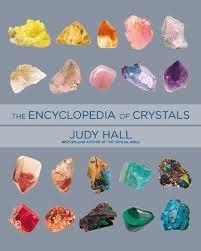 This encyclopedia is an essential addition to the libraries of everyone working with crystals.